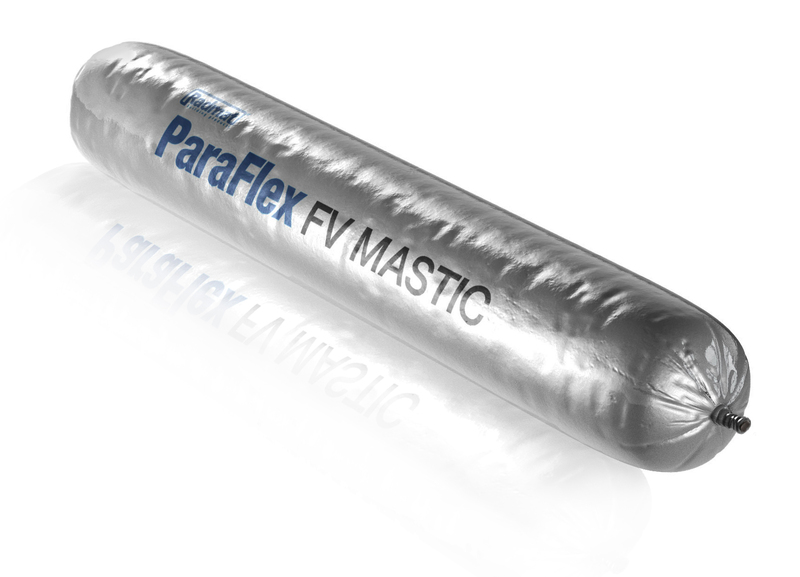 ParaFlex FV Mastic is a one component fiber-reinforced MS-Polymer for the sealing of difficult and inaccessible roof details and connections. An additional mat reinforcement is not necessary. ParaFlex FV Mastic is non-fading and UV-stable and therefore resistant to aging and also flexible at low temperatures. The material is one component and therefore more economical. The surface should be clean and dry, prepare with ParaFlex Cleaner. ParaFlex FV Mastic adheres to almost any surface and the connections are permanently waterproof. Exceptions are substrates made of PE, PP, TPO and FPO, and silicone and Teflon. The substrate must be jam-free and free of oil and grease. Working temperature for material processing – between +15 °C and +25 °C. Resistance to spreading fire and reading heat to DIN 4102-1 and EN 1187.